When the Black Sun decided to invest in a starfighter for its ace pilots that could rival Incom's X-wing, it turned to TransGalMeg Industries Incorporated, for a custom design. The result was the fast, sleek, and powerful Kihraxz assault fighter. 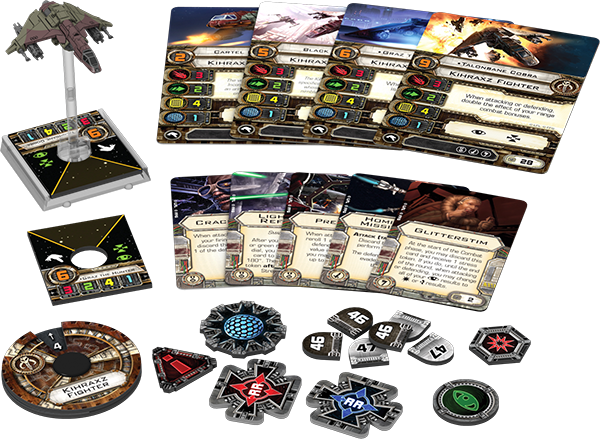 Today, we continue our series of X-Wing™ Wave VII previews with a look at how this deadly fighter is presented in the Kihraxz Fighter Expansion Pack and how the galaxy's Scum and Villainy might use it in battle. A 360-degree view of the Kihraxz assault fighter. 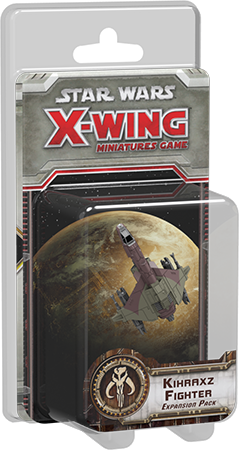 Modeled after Incom’s popular X-wing starfighter, the versatile Kihraxz provides the galaxy's Scum access to many of the X-wing's strengths, though there exist a number of key distinctions between the two starfighters. 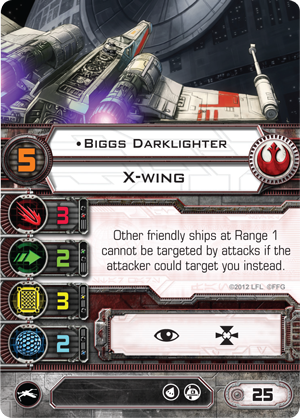 For starters, both the Kihraxz and the X-wing boast similar squad point costs, primary weapons with attack values of "3," agility values of "2," and the ability to withstand five hits, divided between shield and hull values. 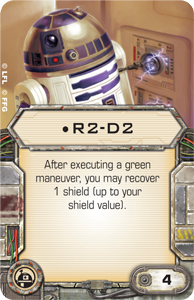 However, those shield and hull values aren't assigned in the same way; whereas the X-wing features two shields and three hull, the Kihraxz features four hull and just one shield, making it slightly more vulnerable to critical hits. Furthermore, both ships share an identical action bar, with the focus and target lock actions. Their upgrade bars, though, are signifcantly different. 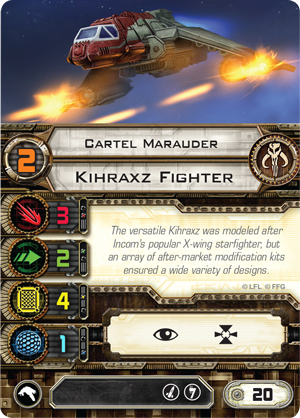 Instead of the X-wing's torpedo and Astromech upgrade slots, the Kihraxz features the missile and illicit upgrades. These changes can lead to serious distinctions on the battlefield. 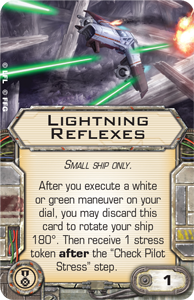 While the Kihraxz can't benefit from the resilience the X-wing gains through Astromechs like R2-D2 and R5-P9 , it can sucker punch enemy ships with a "Hot Shot" Blaster , or its pilots might use Glitterstim for an instant of profound clarity, both while attacking and defending, before the rush wears off and leaves them stressed. Of course, there are also notable differences between torpedoes and missiles. 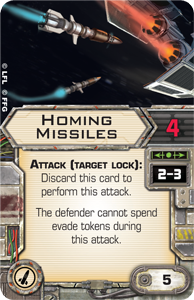 Currently, all four types of torpedoes in X-Wing require you to acquire and spend a target lock, as well as discard the torpedo upgrade, in order to take your shot. While these shots can be as devastating as a five-hit blast from an advanced torpedo or kick your opponents when they're down by assigning stress or ion tokens to them, they all require you to spend that target lock. 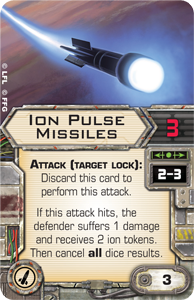 On the other hand, there are three types of missiles that you can fire without spending the tokens you'd like to use to modify their attacks: Ion Pulse Missiles , Proton Rockets , and Homing Missiles . 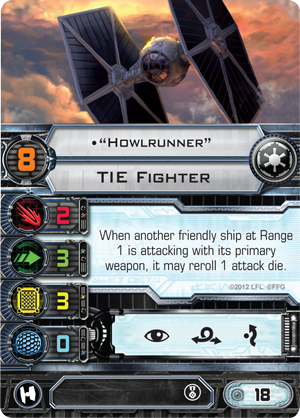 Equipping any of these aboard your Kihraxz fighter makes it a bit more of a quick-trigger gunship than the X-wing. 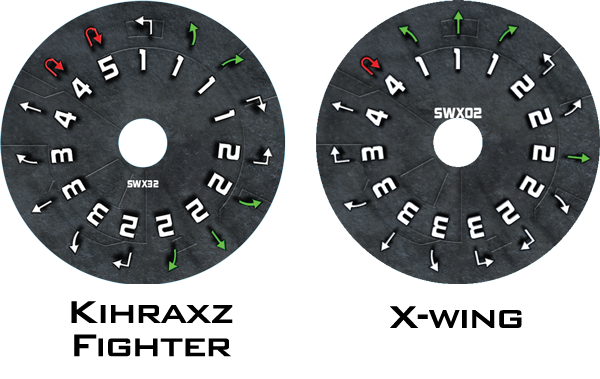 Still, the most important distinction between these two versatile starfighters is revealed through a comparison of their maneuver dials. Both ships share the same total of fifteen maneuvers, but the Kihraxz trades away its speed "3" turns for a pair of speed "1" turns, then gains an extra speed "5" Koiogran turn, as well as two green speed "2" bank maneuvers. Without a straight speed "1" maneuver, the Kihraxz appears to be designed for pilots who are happy to abandon head-to-head, squad-based approaches in favor of more self-serving and predatory maneuvers. 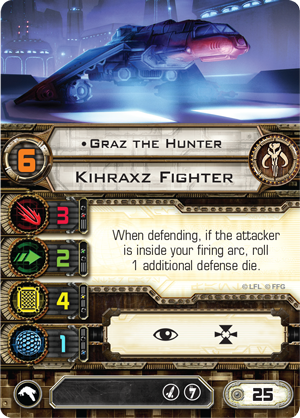 The Kihraxz isn't built like the game's traditional "arc dodgers," but it's great for ace pilots who can anticipate their opponents and turn sharply in tight quarters to lay pursuit. This means that the Kihraxz isn't meant to be flown in tight formation like the X-wing, a ship whose pilots benefit from their ability to close in upon their targets slowly and deliberately while concentrating their firepower. 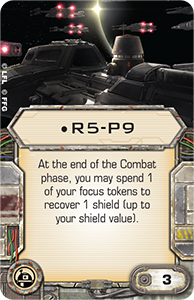 Instead, its pilots are better served by utilizing flanking maneuvers and pincer tactics, dividing their opponents' attentions between two or more significant targets. In the end, though some fighters may be faster, tougher, or harder-hitting than others, every ship is limited or pushed to its limits by the pilot who flies it. 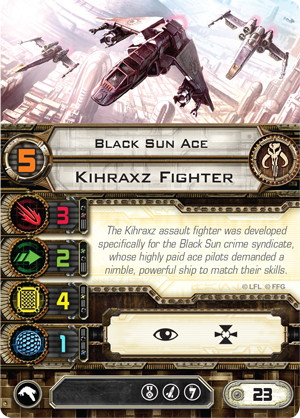 In X-Wing, the Kihraxz benefits from some of the best and most aggressive pilots the Black Sun and the galaxy's other criminal organizations can hire. The first of these are your Cartel Marauders , who cost you a mere twenty squad points each, meaning that you can build a squad of five. 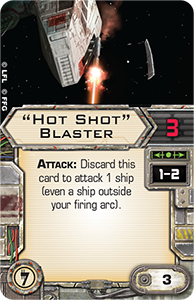 Though it may not benefit from the synergies provided by a talented leader like "Howlrunner" or Biggs Darklighter , such a squad would still boast an impressive total of fifteen attack dice and twenty-five points divided between hull and shields. Those are the sort of numbers that should give pause to any opponent. 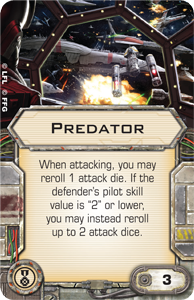 Going to battle with five Cartel Marauders may be a good option for any Scum squad leader who's willing to abandon all the tricks that become available with higher pilot skill, elite pilot talents, illicit upgrades, and other upgrade options. Still, the Scum and Villainy faction is so full of tricks to employ that sending unmodified ships almost feels criminal, especially when you can field a Black Sun Ace , boost your pilot skill value to "5" and gain an elite pilot talent upgrade slot for just three squad points more. This is particularly handy when you consider that the Kihraxz Fighter Expansion Pack comes with a copy of the powerful Predator upgrade, as well as Glitterstim. 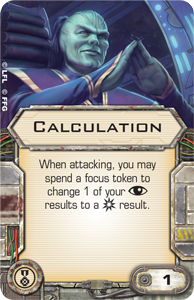 Outfitted with the two upgrades, your Black Sun Ace gains all sorts of tricks, including the ability to K-turn into a fully modified shot with a reroll and built-in focus token on both attack and defense. 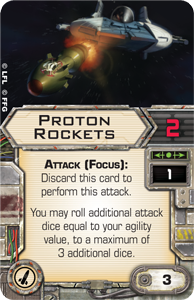 Meanwhile, the first of the expansion's two unique aces, Graz the Hunter , highlight's the ship's aggressive maneuver dial with an ability that gives him an edge in the all-important opening volley. As he races at your foes, so long as he keeps his enemies within sight, Graz the Hunter gains an extra defense die. At Range "3," it's relatively easy to keep most enemy ships within arc, and that allows him to roll four defense dice. Then, as he flies into Range "1," he'll want to isolate his target, lock on, and take his Glitterstim, making sure he doesn't leave himself exposed to anyone outside of his firing arc. So long as he's not under fire from other sources, Graz can reliably count on getting the better of his foe, relying upon his four modified attack dice and three modified defense dice. "When attacking or defending, double the effect of your range combat bonuses." 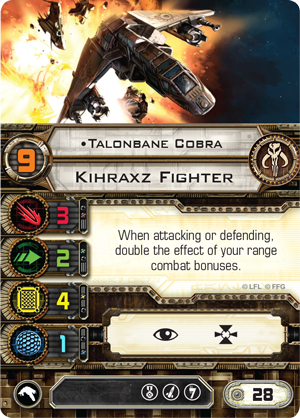 This means that Talonbane Cobra rolls four defense dice during any opening volley at Range "3," and then continues to benefit as he closes on his prey. When Talonbane Cobra races into Range "1," he shifts his priority from defense to offense, firing as many as five attack dice, which he can modify with a target lock and Glitterstim. Moreover, even after the initial pass, Talonbane Cobra can joust with the best of them, gaining another edge from his Lightning Reflexes . If his Glitterstim leaves him stressed, Talonbane can simply execute a green, speed "1" bank maneuver, discard his Lightning Reflexes to rotate his ship 180 degrees, as with a Koiogran turn, and then, finally, take a stress token. All that stress may eventually catch up with him, but not before he gets in two or more punishing shots at close range. 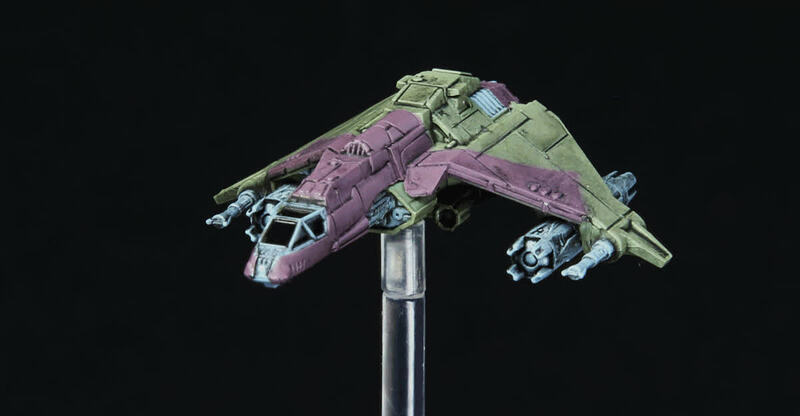 With its pilots so capable of dealing foes one-on-one, the Kihraxz fighter may inspire the creation of Scum squads that present their foes with multiple threats from three or more directions, simultaneously. The sample squad below is just one of the many possible ways the Kihraxz may factor into these strategies. 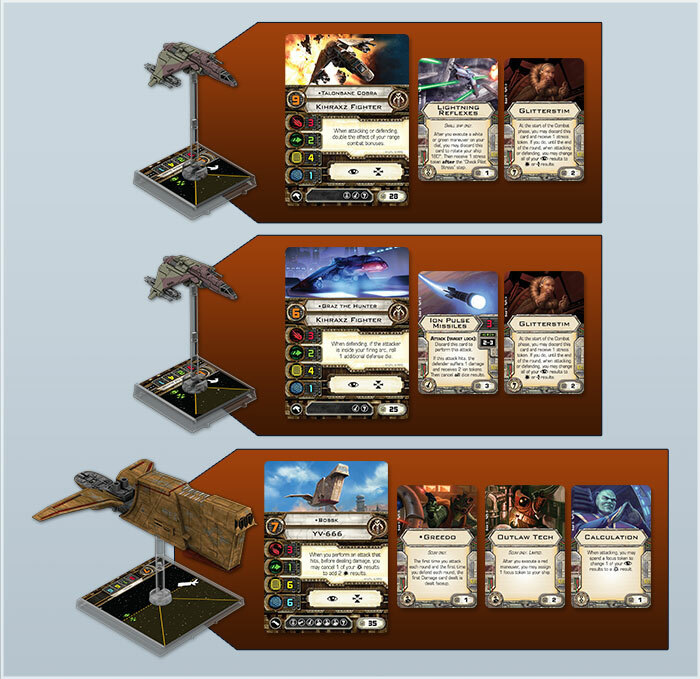 While flying this squad, you'll want to set Bossk directly opposite the bulk of your opponent's squadron. While Bossk flies slowly toward your foes, your Kihraxz fighter pilots will race into flanking positions to establish a pincer formation. At Range "3," in that all-important opening volley, this squad excels. Talonbane Cobra and Graz the Hunter both roll four defense dice while Bossk can use Calculation to convert a focus result into a critical hit, which he can then use to blast through his opponent's shields as though it were two hits instead. 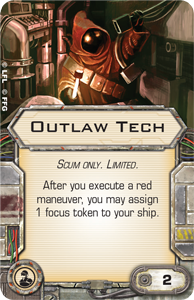 Moreover, the Outlaw Tech aboard Bossk's ship ensures that you'll get the focus token you need to activate Calculation, even when you perform a red maneuver. 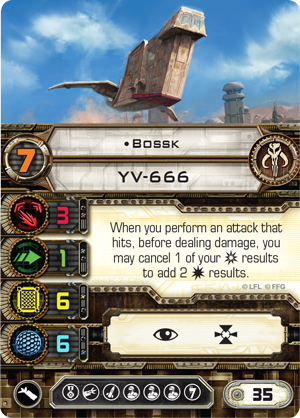 Meanwhile, you don't really have a weak spot to exploit, though Bossk is likely to be the early target because of his ship's lower agility value and because he threatens to cripple your opponent's fleet in short order. 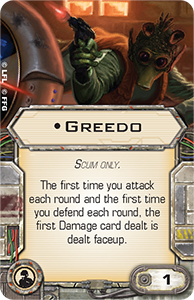 That means your opponent will likely allow your Kihraxz fighters to continue their approach into close range in order to focus on taking out Bossk as quickly as possible. Accordingly, you'll want to make aggressive passes with both Talonbane Cobra and Graz the Hunter, racing in from the flanks to attack the most threatening enemy ships with target lock and Glitterstim. Graz the Hunter can use his Ion Pulse Missiles to leave a foe vulnerable for your next pass, and Talonbane Cobra can rip into an enemy ship before flying away with a green maneuver then using Lightning Reflexes to turn and catch his opponent within his firing arc once again. Some days, it's just good to be a part of the Black Sun criminal enterprise. 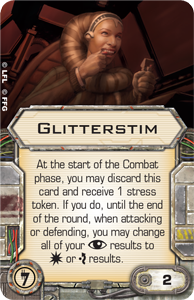 There's always a market for illicit substances like Glitterstim, and many of the galaxy's most talented pilots are happy to help you protect your margins, at a reasonable rate, of course. Who will you hire to lead your Scum squadron? Head to your local retailer and pre-order your copy of the Kihraxz Fighter Expansion Pack today!